Investors needn't worry about policy continuity because whichever party comes to power will have to continue economic reforms, Subramanian says. New Delhi: India will continue to implement economic reforms irrespective of who wins a general election beginning next month, a key government adviser said, seeking to reassure investors about policy continuity in one of the world’s fastest-growing economies. As reforms in the past few years — from tax to inflation targeting — start to manifest, the economy’s potential growth rate will rise by 50 basis points to 7.5 per cent to 8 per cent, Krishnamurthy Subramanian, chief economic adviser in the finance ministry, said in an interview in New Delhi. He cited the global slowdown and trade tensions as risks to economic growth, which is seen at 7 per cent in the year to March 31. 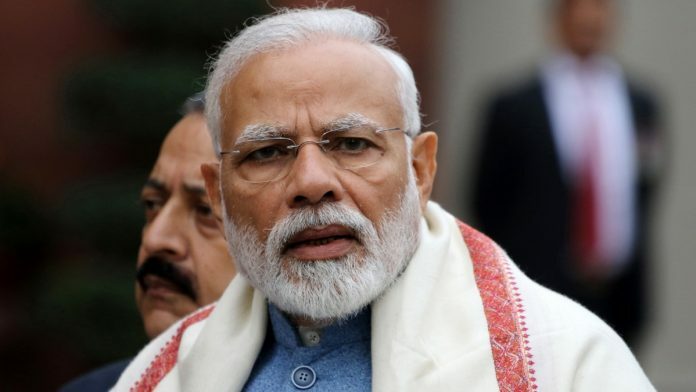 After sweeping to power in 2014 with the biggest mandate in three decades, Modi has pushed through long-pending reforms, such as a bankruptcy law and an inflation targeting framework for the central bank. Investors are starting to worry about the policy outlook and economic imbalances if Modi fails to return to power. Foreign direct investment into Asia’s third-largest economy fell 7 per cent in the nine months to December from a year earlier. Modi’s Bharatiya Janata Party lost control of three key states to the main opposition Congress party in December, adding to the uncertainty about a weaker government after the elections. Distress in India’s farm sector and rising unemployment have dented his popularity ahead of elections to be held from April to May. While reforms under Modi helped India climb 23 spots to 77 in the World Bank’s ease of doing business rankings, he’s failed to win support from opposition lawmakers to overhaul laws governing land acquisition and labor. The government appointed him to the post in December for three years Subramanian supported Modi’s controversial move to ban 86 per cent of currency notes in 2016 He earned his doctorate from the University of Chicago Booth School of Business under Raghuram Rajan, a former governor of the Reserve Bank of India.